Ideal birthday deals Singapore can offer for your girlfriend, boyfriend, husband, wife, father, mother or best friend. For those looking for birthday celebration ideas for boyfriend in Singapore (or girlfriend), we’ve got just the place for you. Refresh your list of birthday deals with this unique experience — one of Singapore’s best-kept secrets in a while. Impress your partner with romantic birthday packages specially curated to create the perfect romantic atmosphere as both of you sail into the sunset and you deliver fresh roses into their hands. If it is a birthday surprise, you can add a gift card to your package and your partner would be opening a wax-sealed birthday card for your tickets to a luxurious sail upon the calm waters of southern Singapore will form a great prelude to a romantic evening. A pleasant birthday treat it would be indeed. The Royal Albatross is offering exclusive birthday perks just for the babies this month. Birthday celebrants onboard our Sunset Sails will get to enjoy offers specially curated for their appeal. Pairing your dining experience with some champagne or roses would certainly bring out the romance if that is what you are looking for. If you want to make it extra special, you can take a look at our proposal packages. Make a note to us that you are celebrating a birthday instead of having a proposal, and we will make the arrangements for you. If you want something unique and memorable to celebrate your special day, look no further for birthday treats right here at Singapore’s only luxury tall ship. Just look up the hashtag #royalalbatross on Instagram, and you’ll see why so many others loved their sail. 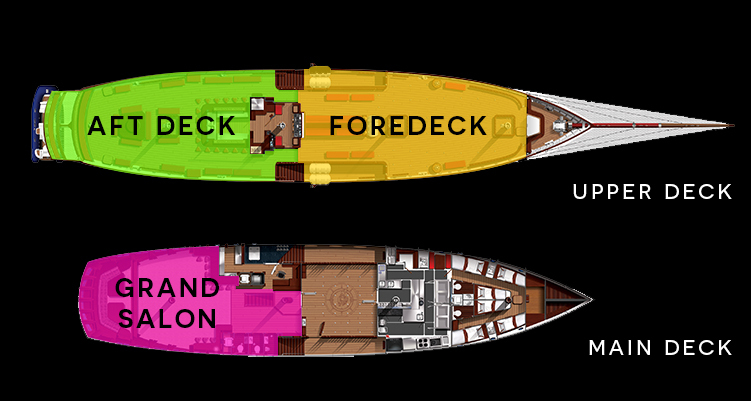 Our ship appeals to the different personality types in different ways, whether you are looking at it from a horoscope point of view or test indicators, you can create the most unique birthday ideas Singapore can offer only on this superyacht. The best thing about the Royal Albatross for lovers and family alike is that the luxury tall ship is a rich weave of romance, relaxation, sea, and music. The tall masts and white sails, with posh fixtures, is perfect for delighting you and your loved ones. If you ask many of those who have sailed with us where to celebrate birthdays on your birthday month in Singapore, they will tell you, Royal Albatross is the place. A six-year overhaul has augmented its traditional riggings with modern technologies and luxurious fittings that will help create a zen feeling in your soul. Be it having the sea breeze caress your cheeks or lounging in the Grand Salon below; there will be a place for you to relax onboard the Royal Albatross. To treat your special someone or clique to something that they can rarely do as a group, you should think of this as one of your birthday treat ideas. A romantic sail with two premium bars, a full-course dinner along the calm waters of Singapore. Now, this experience is something you cannot find elsewhere. Group birthday party packages are coming soon. For yacht birthday party bookings for birthday celebrations on our Sunset Sails, you can email reservations@tallship.com.sg or call +65 68639 585. Also, you can head over our City Lights page to check out the dinner cruise tickets without the birthday packages. Tickets are changeable, transferable, valid for 6 months and non-refundable. See Full Terms & Conditions and FAQ for Sunset Sail, Dinner Cruise and other Special Cruise. For more information about the stability of the Royal Albatross and why its unlikely you’ll experience sea sickness, please view our video HERE.